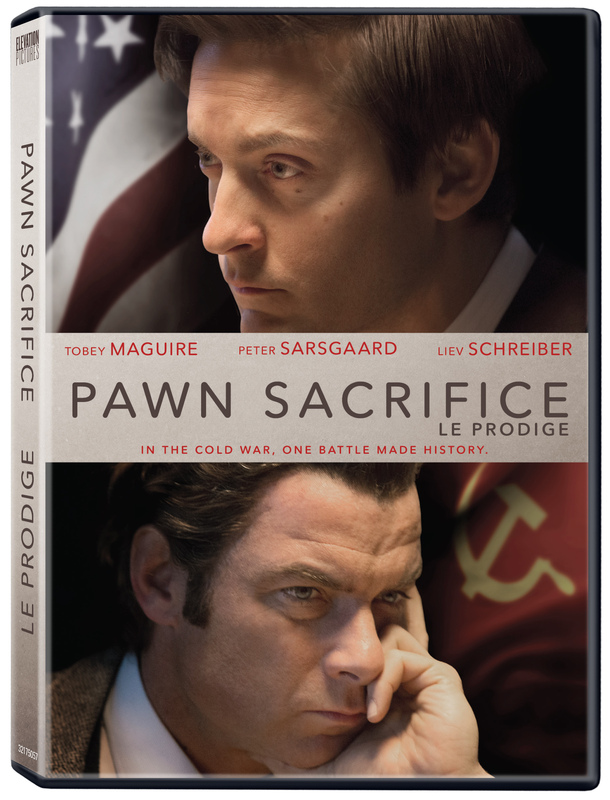 Today, Elevation Pictures is releasing the solid biopic Pawn Sacrifice on DVD. The film dramatizes the famous 1972 chess match between the increasingly paranoid American prodigy Bobby Fischer (Tobey Maguire), and celebrated Russian Boris Spassky (Liev Schreiber), in a battle that becomes about much more than just pieces on a board. Directed by Edward Zwick, Pawn Sacrifice recreates many of these famous chess matches, with close attention paid to period details and the Cold War paranoia of the time. With one of Tobey Maguire’s finest performances, and an equally excellent supporting cast, this is a respectful biopic that does justice to its material and real life subject. It’s easily worth a look, and my full review can be found right here. The DVD also includes a featurette on the making of the film. Pawn Sacrifice is 116 minutes and rated PG.